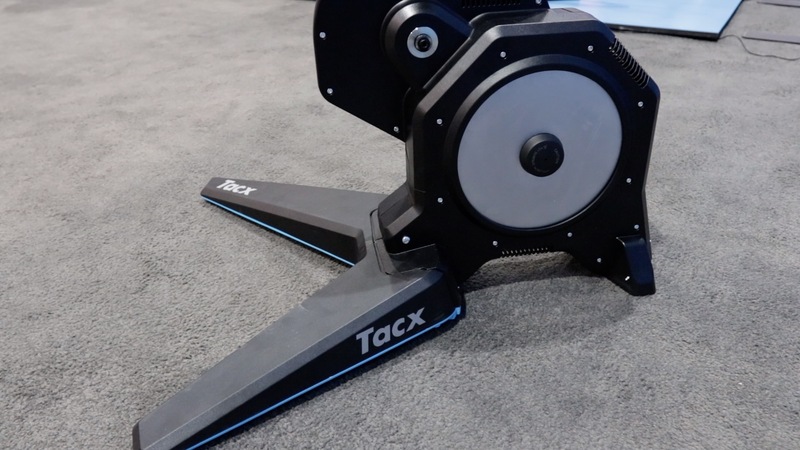 Tacx Flux S is an upgraded model of the original Flux and is different than the Flux 2. Improved internal mechanics for better power accuracy and quieter noise. 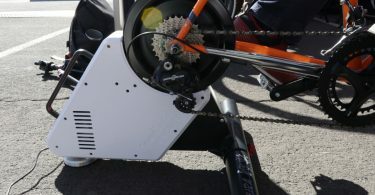 The external redesign makes it compatible with long-cage derailleurs. Flux S should be available October 1st and retails for $750. 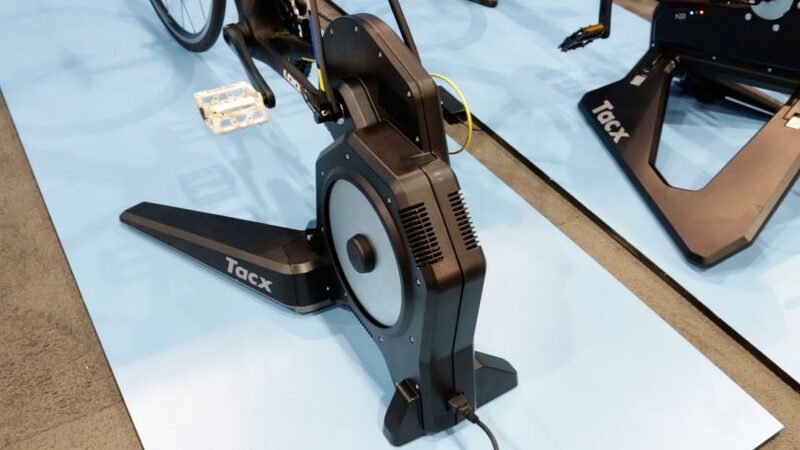 Tacx quietly introduced another Flux. This is the Flux S which is an upgraded version of the previous Flux. The Flux S has the same specs and look as its predecessor and should be available October 1st. The easiest way to tell the difference between the Flux S and Flux 2 is by the blue color under the legs in the Flux 2 as you see in the photo below. 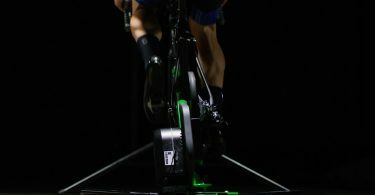 The Flux 2 Smart Trainer has the blue color under the legs. The internal mechanics of the FLUX S were also redesigned to improve the power measurement and produce better power and more consistent power accuracy all within +/-3%. The Flux S also supports up to 1,500 watts and 10% slope. The internal upgrade and redesign should also bring the noise and vibration down to make it almost silent. The ride feel should feel overall better with the Flux S.
Tacx also redesigned the externals of the Flux S to make it compatible with a wider range of bikes. By dropping the legs lower, the Flux S is now compatible with long cage derailleurs. The Flux S should be available October 1st and will sell for $750. The Flux 2 should be available later this year and will retail for $899.